Not much happened today. It went by so slowly. I found out today that the French pronounce this guy's name --> like Channing Tatoom. (Imagine a strong french accent.) Similar to the US, a lot of girls here love Channing Tatum. It was so funny to hear them talk about the new Twilight movie. I have no idea whether the new Twilight movie is a big deal back in the US, but (depending who you talk to) the Twilight series are still pretty popular like it was back in eighth grade. Every time I go onto youtube there are french advertisements before the videos. Today, I was watching the Corneille's music video, "Avec Classe" because the song was stuck in my head all day. LES MISÉRABLES! I am getting super excited to see the Les Miserables movie (en français of course!). I have a feeling it's gonna be great. Almost every Friday, Elise and I watch NCIS after dinner. The French love NCIS! It's hilarious. 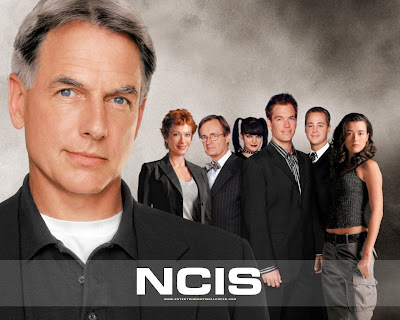 When you go to a supermarché there is always a TV guide at the checkout with characters from NCIS on it. I had never heard of this show before I came to France. It's actually good to watch to learn french because the plot is pretty consistent and so I can (usually) follow what's going on.